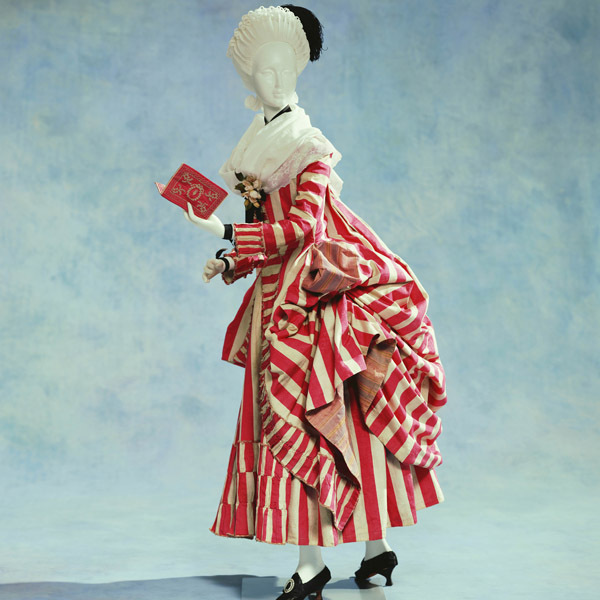 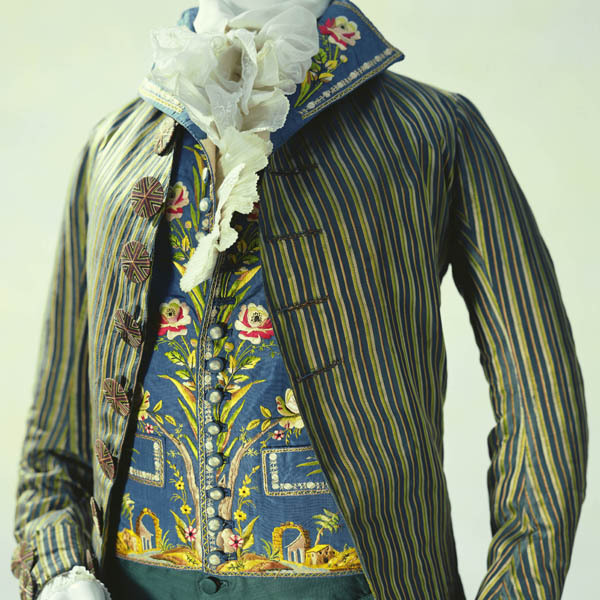 Three piece set of coat, waistcoat, and breeches; coat and waistcoat of blue striped uncut velvet with sequins and glass jewels; embroidery of metallic thread, self-fabric-wrapped buttons; waistcoat of white figured silk. 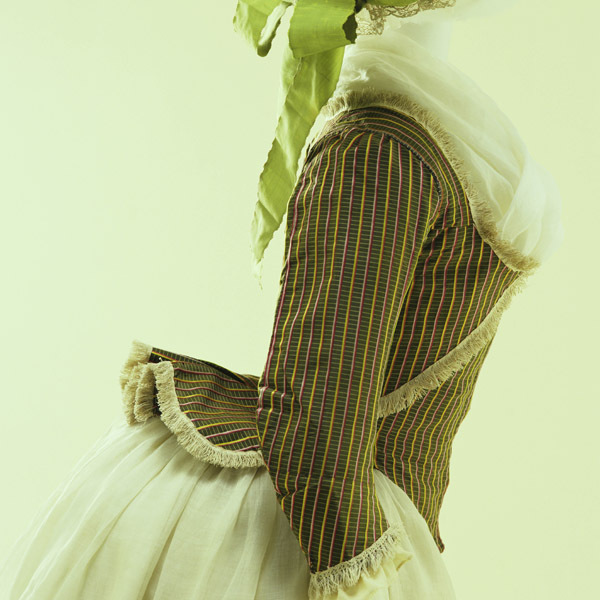 A narrow stripe pattern of purple and green adds lightness to this heavy-looking uncut velvet fabric. 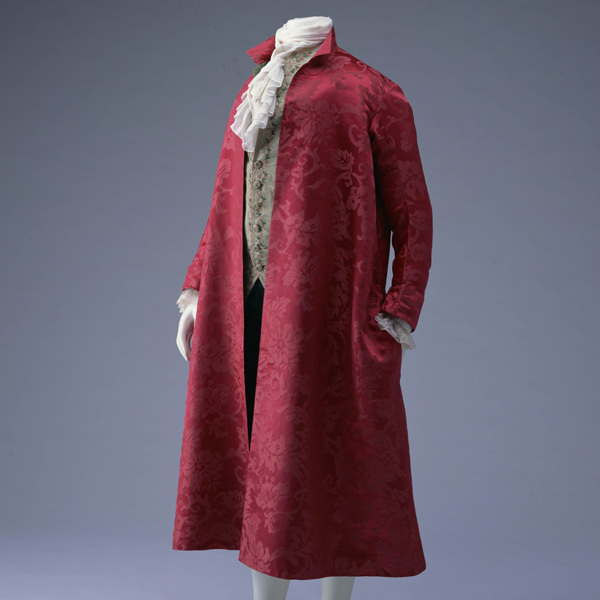 The coat and the white waistcoat are embroidered with the same floral pattern. 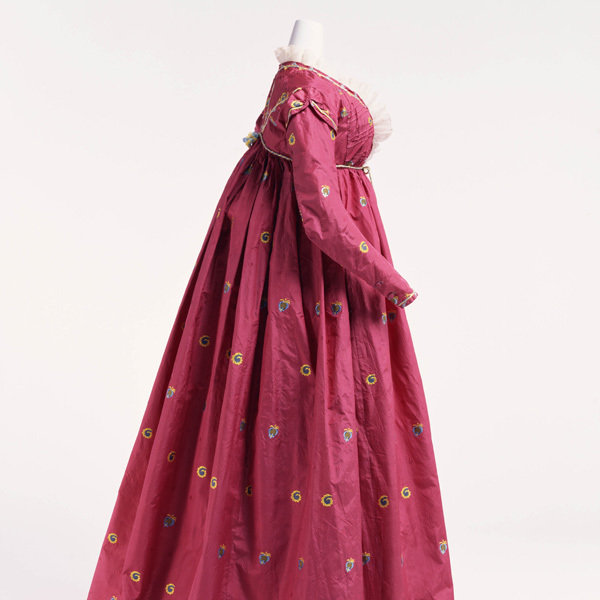 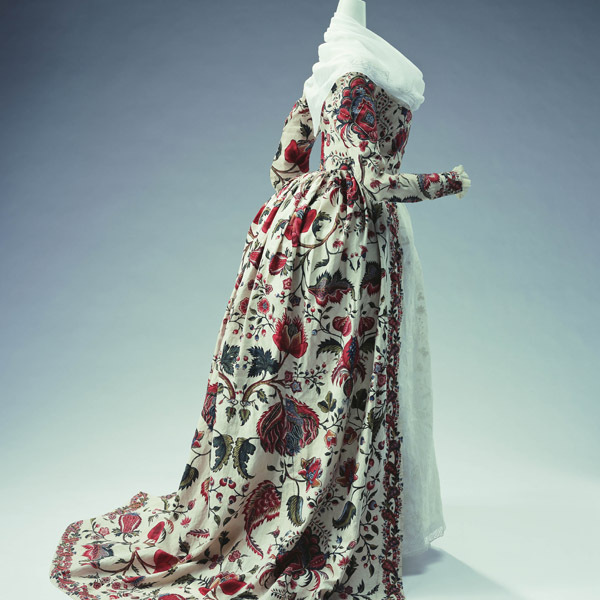 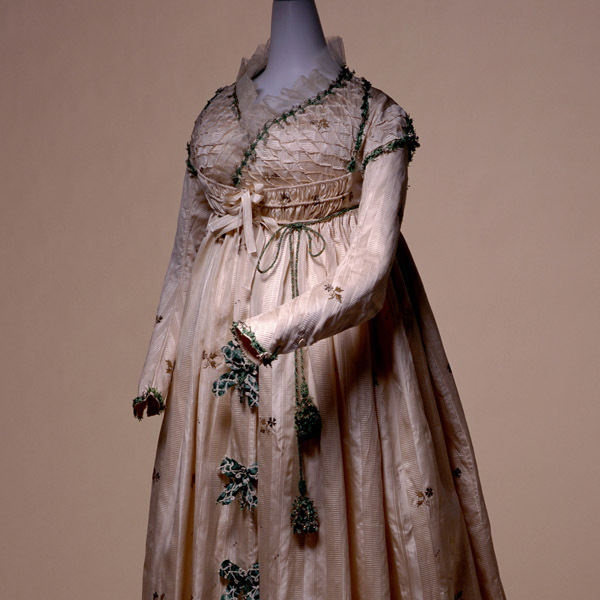 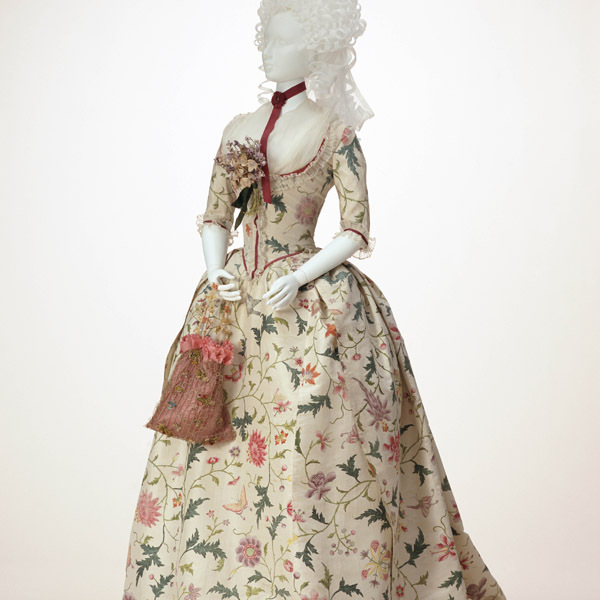 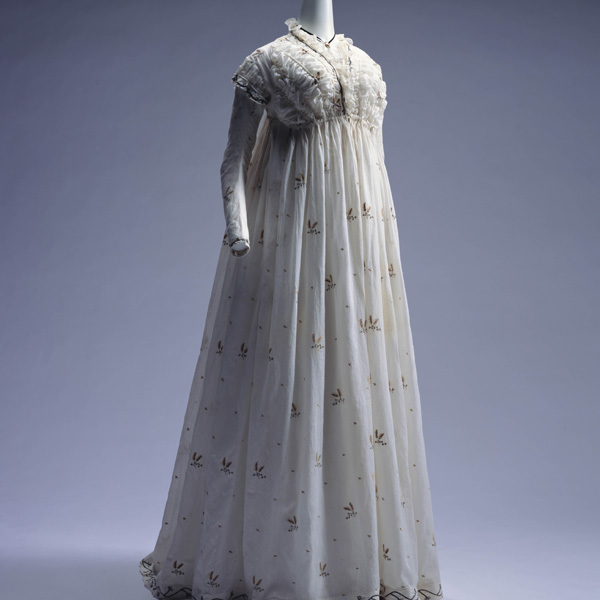 It may be no exaggeration to say that in the 18th century the beauty of embroidery was effectively used in men's clothes rather than women's dresses. 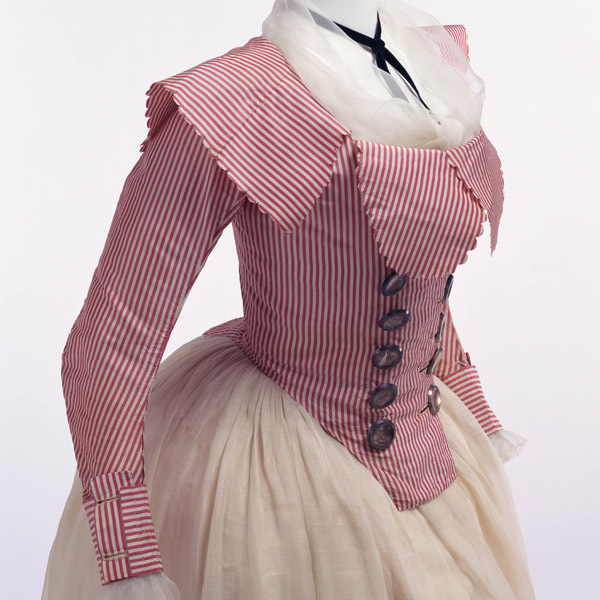 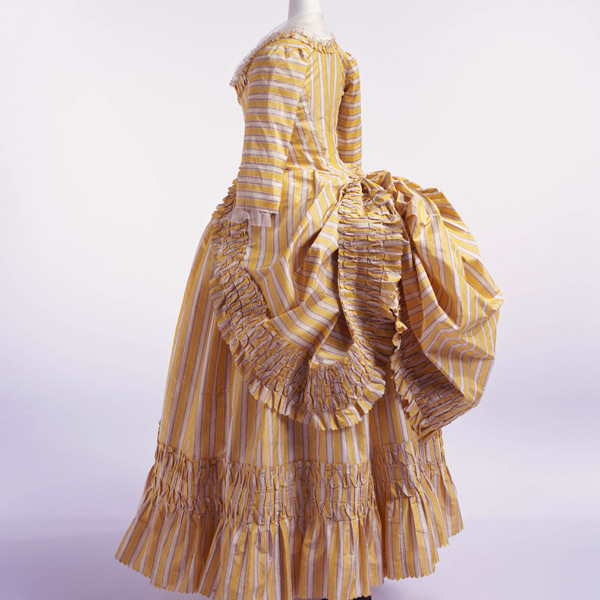 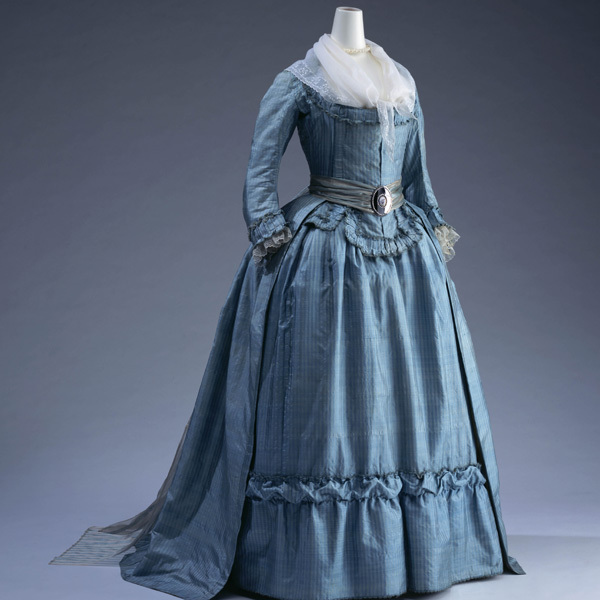 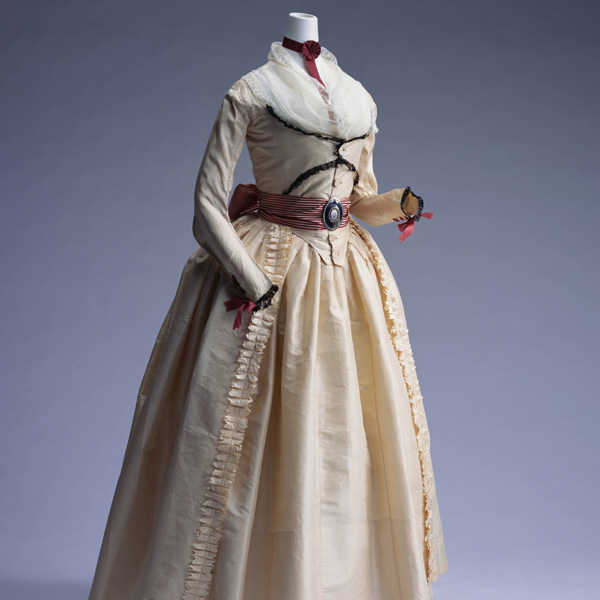 Evidence can be found in the formal wear of Académie Française members until now. 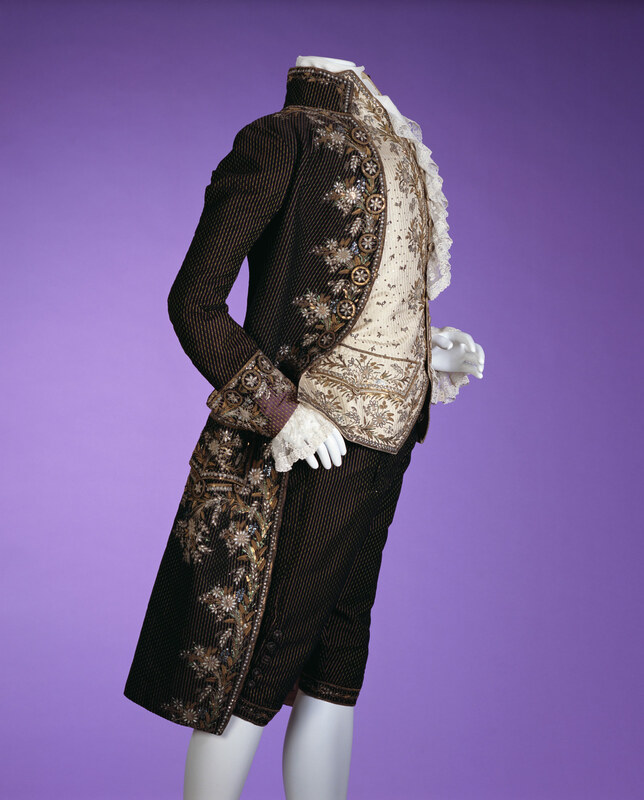 Especially the coat and the waistcoat of the panoply called "habit à la française" are fully embroidered with golden and silver threads and other multi-colored threads, sequins, and artificial gems. 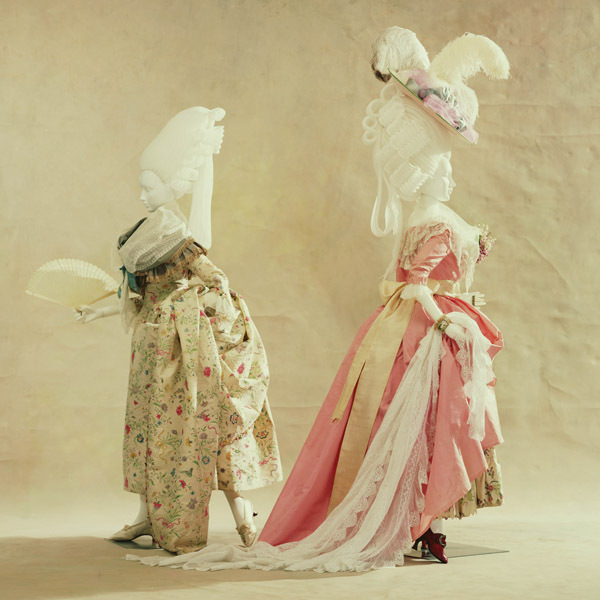 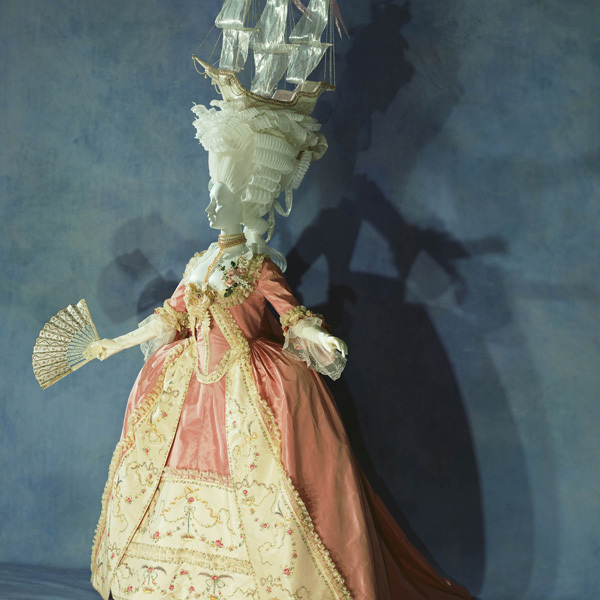 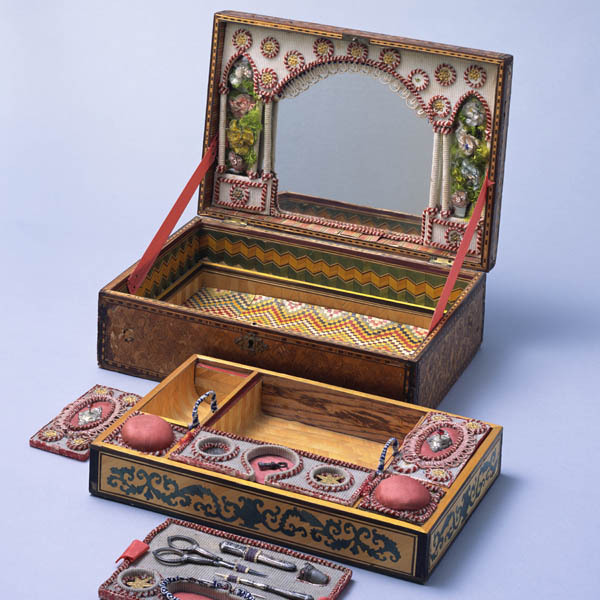 At that time, there were numbers of embroiderers' workshops in Paris, whose work and workplaces were described in "L'Encyclopédie" by Denis Diderot. 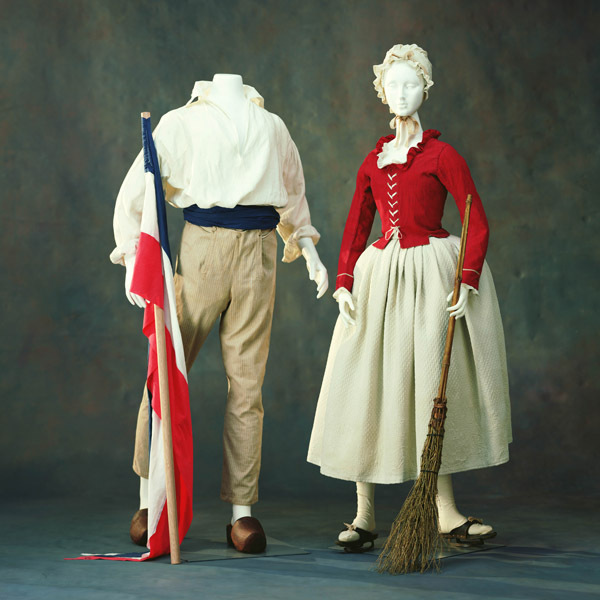 Men's clothes of the period were made in a way called disposition: a fabric was woven or embroidered to fit the configuration of dress fronts. 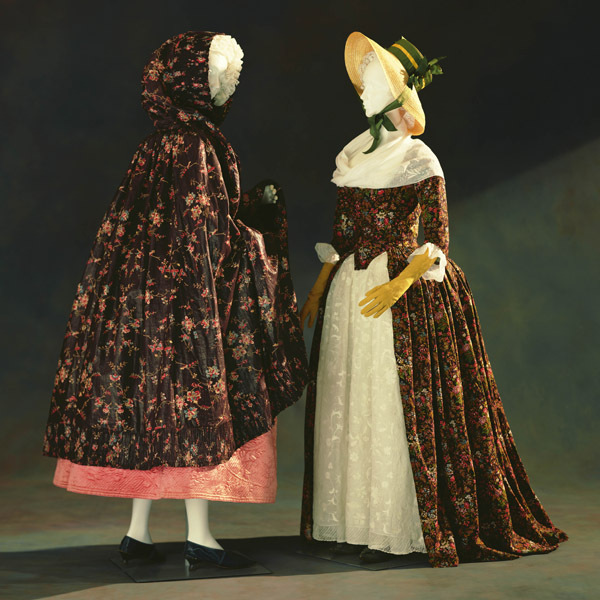 It was selected according to the customer's taste, and then cut and sewn up into clothes. 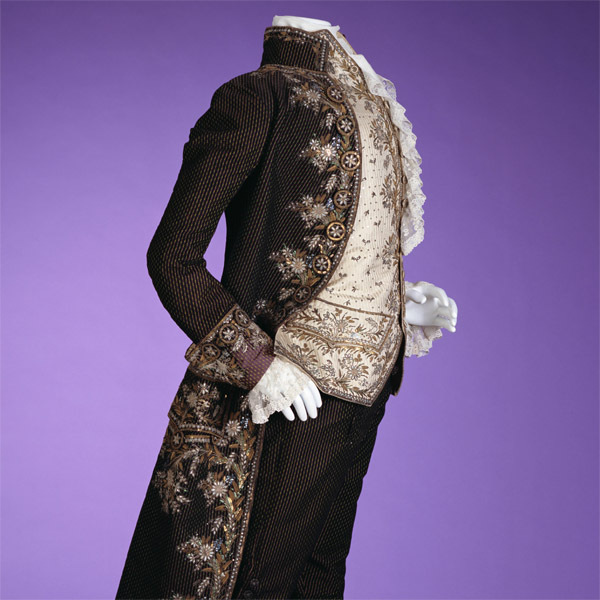 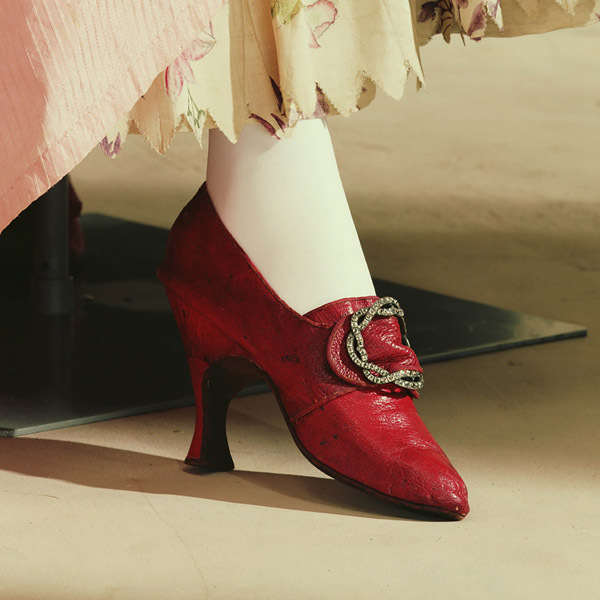 Gorgeous embroideries as well as expensive laces used for jabots and cuffs, and buttons, one of the important fashionable items, were essential to finish the appearance of the chic men of the Rococo period.